The Dow Jones Industrial Average jumped 158 points in pre-market hours as investors prepared for the G-20 conference in Buenos Aires, Argentina. The U.S. dollar hit an 18-month high Wednesday morning as investors hope that U.S. President Donald Trump and Chinese President Xi Jinping will work to resolve the nations' ongoing trade dispute. Global markets have speculated that Trump will not hold off on raising tariffs on Chinese goods from 10% to 25% while the nations negotiate. However, Trump's economic adviser, Larry Kudlow, proposed that the two nations may reach a deal as China and U.S. leaders prepare for the start of the summit. Global Market Insights sees this market worth over $80 billion by 2024. Technology giants like Apple and Microsoft are making huge multimillion-dollar investments in this space. Defense contractors and the U.S. military are using this market's technology to give soldiers a competitive "advantage at sea, land, and air." According to a report from The Washington Post, President Trump expressed regret in appointing Jerome Powell, the current chair of the U.S. Federal Reserve. Trump is "not even a little bit happy" due to the central bank's ongoing efforts to normalize interest rates, a process that has appears to have cooled the U.S. economy and investor sentiment. Today, Powell is set to deliver an important speech on monetary policy and the central bank's forward focus on rate hikes. The U.S. Department of Commerce reported its first revision of third-quarter economic growth. The agency said that U.S. growth ticked in at 3.5%, a figure that is lower than the 4.2% reported for the second quarter. The U.S. economy has seen remarkable job and wage growth over the last 18 months, thanks in part to falling regulations, tax cuts, and business confidence. However, ongoing concerns about rising interest rates and trade tariffs have fueled concerns that the United States could experience a recession in 2019. 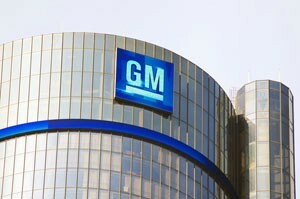 Shares of General Motors Co. (NYSE: GM) slumped after President Trump threatened to slash the company's subsidies after it announced plans to idle several plants and lay off about 15,000 employees. Unfortunately, Trump is pushing the company to build cars whose poor sales performance is driving GM to lay off employees in the first place. Shares of Salesforce.com Inc. (NYSE: CRM) popped more than 8.5% after the firm beat Wall Street earnings expectations Tuesday by $0.01 per share. The firm reported an adjusted EPS of $0.61 and topped revenue expectations. Despite a guarded outlook for the next 12 months, the firm expects a big boost in its revenue in 2020, as more firms around the world adopt cloud computing. Papa John's International Inc. (NASDAQ: PZZA) shares sank more than 10% Tuesday after the global pizza chain lost a potential bidder in a potential takeover deal. Shares were ticking up 2% this morning, but the damage is done. The Wall Street Journal reported that hedge fund manager Nelson Peltz and his Trian Management will not bid for the company, but will still consider taking a small stake in the firm. Revenue at the company has continued to slide due to rising competition and the firm's ongoing efforts to distance itself from former CEO and founder John Schnatter. Look for earnings reports from Box Inc. (NYSE: BOX), Burlington Stores Inc. (NYSE: BURL), Guess? Inc. (NYSE: GES), J.M. Smucker Co. (NYSE: SJM), La-Z-Boy Inc. (NYSE: LZB), Royal Bank of Canada (NYSE: RY), and Tiffany & Co. (NYSE: TIF).